Breaking into the major leagues as a nineteen-year old on May 19, 1960, Ray Sadecki began an impressive career that continued for 18 seasons (1960-1977). 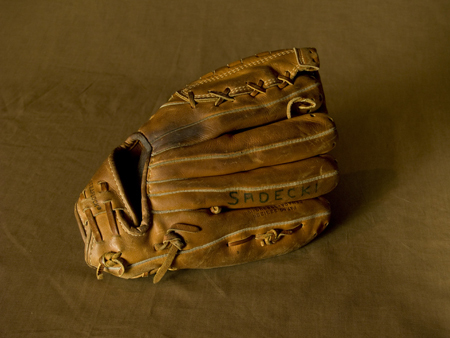 Pitching primarily with the Cardinals, the Giants, and the Mets, Sadecki established a career won-lost record of 135-131, while logging 1,614 strikeouts in 2500 innings pitched. His career ERA stands at a solid 3.78. During his entire major league career, the durable left-hander was never placed on the disabled list, nor did he ever miss a scheduled start. 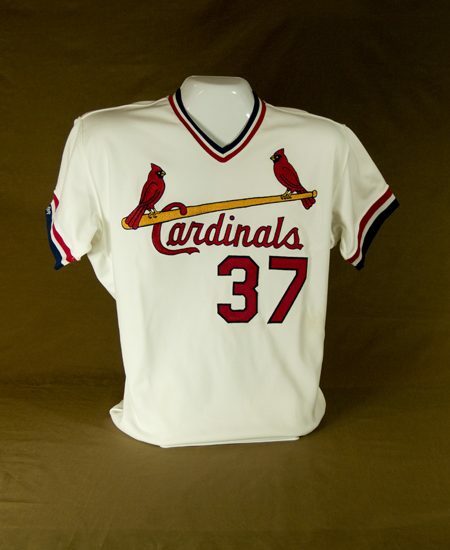 The 1964 season was perhaps Sadecki’s most memorable, when he compiled a 20-ll regular season record, leading his St. Louis Cardinals to a National League title. He started the first and fourth games of the ’64 World Series, as the Cardinals triumphed in seven games over the powerful New York Yankees. Sadecki returned to the fall classic again in 1973, working four games in relief as a member of the New York Mets. Ray Sadecki pitched 18 seasons in the major leagues and it is his longevity that he is most proud of. He never suffered a serious injury, never missed a start and not once was he placed on the disabled list. Sadecki reasoned he was blessed with a good arm and a lot of luck. Sadecki began his career in 1960 with the St. Louis Cardinals and it was with the Cardinals that Sadecki enjoyed much of his success. The ’64 season stood out as one of his best. And there was one week during that season where everything seemed to click for Sadecki. He was just 23-years-old at the time having been signed right out of high school in’58. “I was in the league five years but I was still a baby,” Sadecki said. St. Louis entered the final week of the regular season chasing the Philadelphia Phillies for the National League pennant. That Monday Sadecki won his 20th game of the season. He would finish 20-11. It was the only time he would win 20 in a season. Six days later St. Louis clinched the pennant on the final game of season against the then-lowly New York Mets. Two days later, on a Tuesday, Sadecki was the starting pitcher in Game 1 of the World Series against the New York Yankees. He beat Whitey Ford that afternoon and the Cardinals went on to win the World Series. Ford was the losing pitcher in that game. It would be his last loss as Ford retired following the season. Sadecki retired following the ’77 season with the Mets. His career record was 135-131 and the lefthander from Kansas City, Missouri, pitched 2,500 2/3 innings and struck out 1,614 batters and walked 922. His ERA was 3.78. 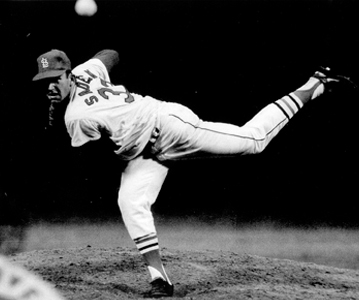 Besides the ’64 World Series, Sadecki pitched in relief in four games of the ’73 World Series with the Mets. The Mets lost the series to Charlie Finley’s Oakland Athletics. Sadecki’s career was a two-sided coin. Side one featured him as a starting pitcher. Side two was as a reliever. Of his first 383 games from ’60-’71, 300 were as a starter. From ’72 until he retired Sadecki pitched in 180 games but only 28 as a starter. Early on in the ’66 season the Cards dealt Sadecki to the San Francisco Giants where he remained through the ’69 season. Those Giant teams had Willie Mays, Willie McCovey and right-handers Juan Marichal and Gaylord Perry. Those four would later be inducted into Cooperstown and the Baseball Hall of Fame. In all four of Sadecki’s seasons with San Francisco the Giants finished in second place in the National League. 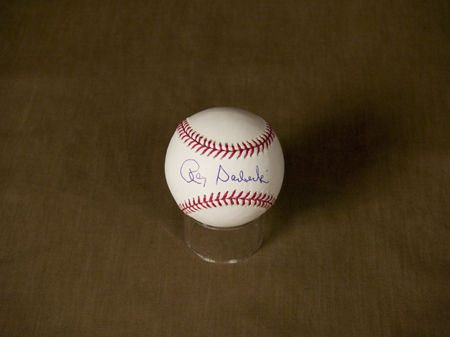 His former club, the Cardinals, beat out the Giants in ’67 and ’68, and the team he would later be traded to, the Mets, finished ahead of the Giants in that miracle season of ’69. And no wonder. The Mets were coming off of their World Series victory over the Baltimore Orioles and had the best young staff in the majors with the likes of Jerry Koosman, Tom Seaver, Nolan Ryan and Gary Gentry. Sadecki truly had a remarkable career if one only scans the roster of the Hall of Fame players whom Sadecki played with. The list reads like a who’s who of the game’s greatest players of the ’50s and ’60s. There were Mays, Henry Aaron, George Brett, Harmon Killebrew, Bob Gibson and Stan Musial, to name a few. The link between Musial and Sadecki continues. Musial was the first athlete inducted into the National Polish-American Sports Hall of Fame and, now, Sadecki is among those inducted this year, the 35th anniversary of NPASHF. Sadecki grew up in an all-Polish neighborhood with a church and school at the top of the hill. For 12 years he was taught by the Franciscan nuns. The priests who said mass did so in one language – Polish. In 1980 the city of Kansas City began a Polski Day Parade and the Grand Marshall was Ray Sadecki.